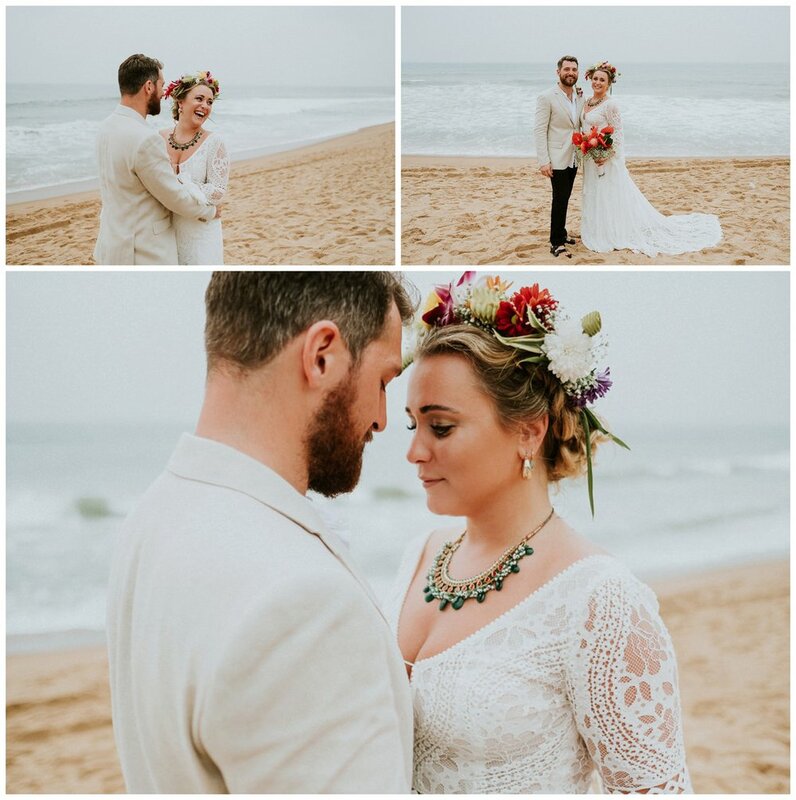 Late last year I had the amazing privilege of shooting my first solo destination wedding - I’ve previously shot weddings with other photographers in Oman and Ibiza - and OH MY was it everything I hoped it would be and more. 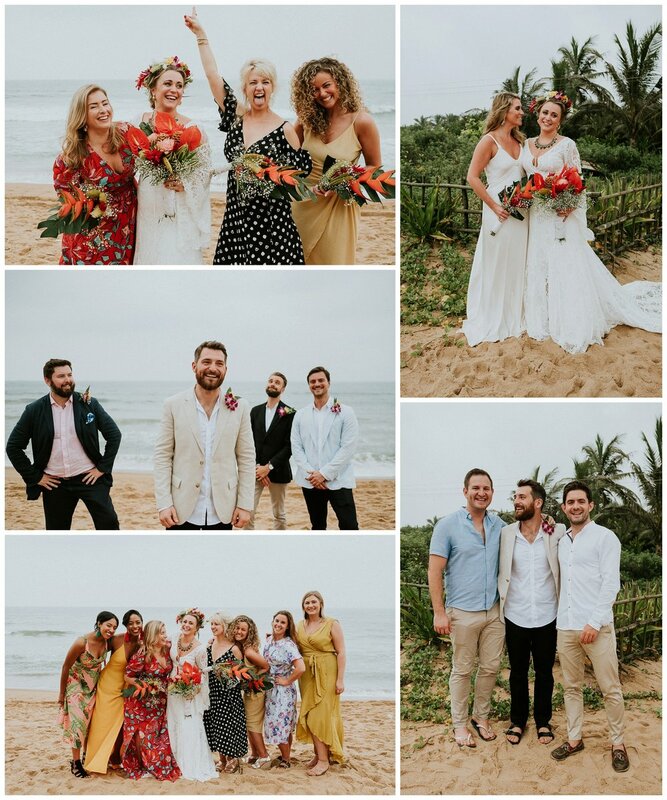 Hannah and Adam invited 40 of their nearest and dearest to spend 4 days with them in Goa, a place they’d visited a number of times before and adored. They planned the time meticulously and thought of every possible way to make it both incredibly beautiful and bags of fun. My time in Goa started on the Monday, where the boys and girls split off for the ‘Hag’ - the girls having a mehndi party and the boys playing cricket. 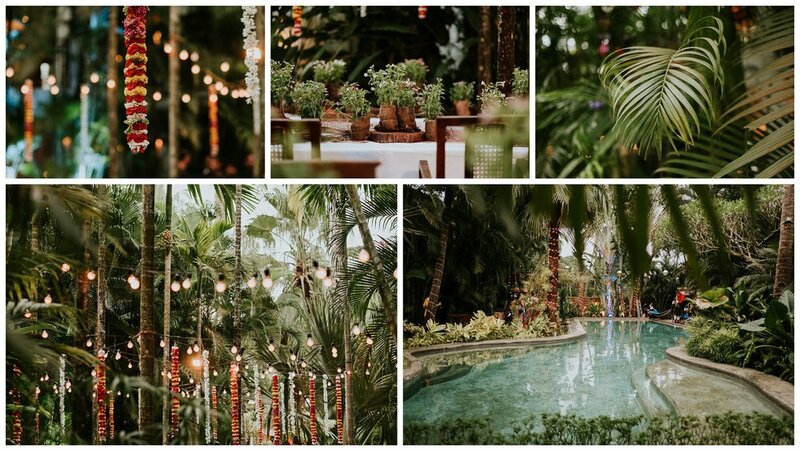 Coco Shambhala, where the bridal party were staying and the wedding reception would be, was decked out beautifully with colourful bunting and plenty of delicious food (and gin). 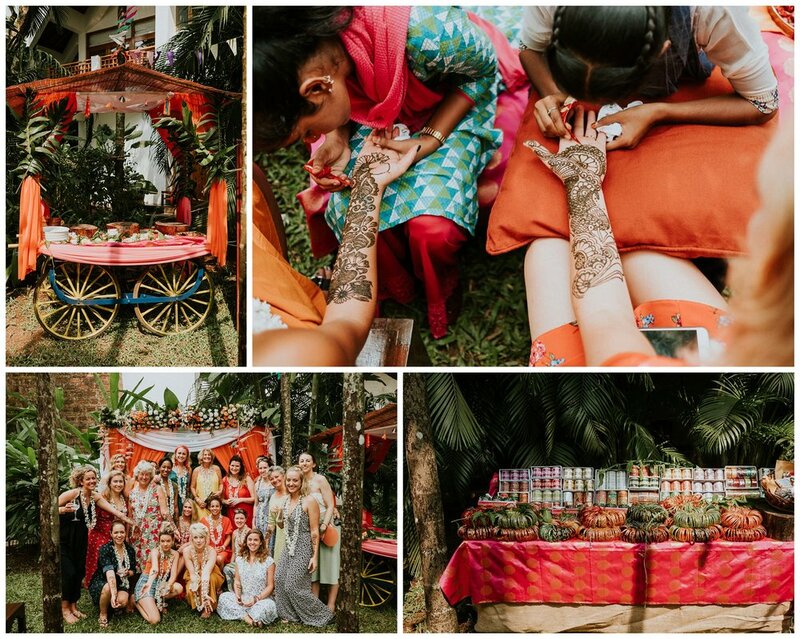 As well as the mehndi, the girls could all choose some glass bangles for the wedding day to go with their tropical themed outfits. In the evening, the girls and boys reuinted for a barbecue on the beach, complete with a classic pink Goan sunset and beer pong. I also had the most magnificent foot massage on the beach for about £4, which frankly was reason alone to go back for a longer stay sometime. Tuesday was the big day, and it started with preparations back at Coco Shambhala, which I really can’t rave about enough; the owners and the staff were the loveliest people around and it looked completely gorgeous 100% of the time. Just when you thought it couldn’t get more amazing, right after the ceremony dolphins could be seen in the sea - a pretty magical moment and although they were a bit far for me to capture on camera, I did get to snap everyone’s reaction! 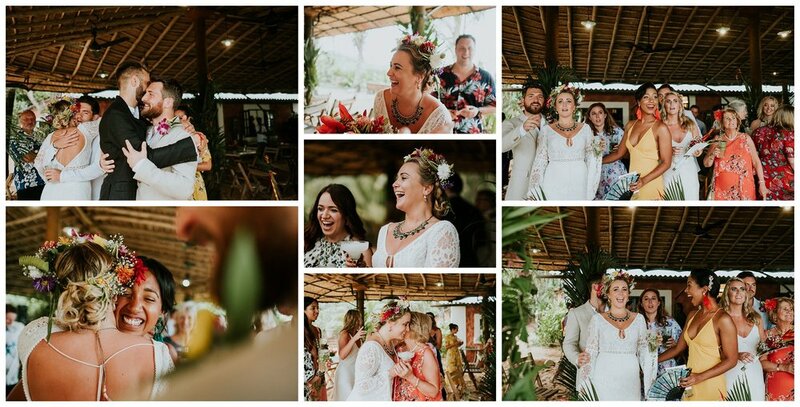 After some beach fun, it was back to Coco which fully decorated with festoon lighting, disco balls, colourful hanging garlands and potted botanicals on the tables. Hannah, Adam and I had a little time to ourselves to get some portraits before everyone else arrived which was lovely; it was a photography dream come true for me - bright, flat light, luscious botanicals and perfect contrast in the shadows. 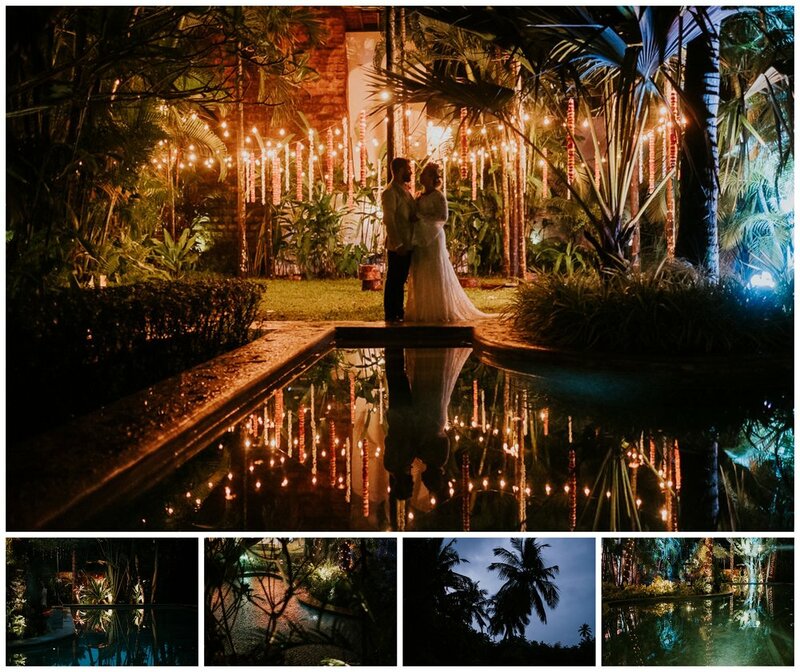 Luckily we managed to do everything we wanted before the rain came… well, it was a tropical wedding! There was thunder, lighting and a massive downpour, but no-one really cared as everyone decanted to the balcony of one of the villas, and I even got Hannah and Adam to come for a fun nighttime shot by the pool once the worst of it had stopped - a shot I was immensely happy with! 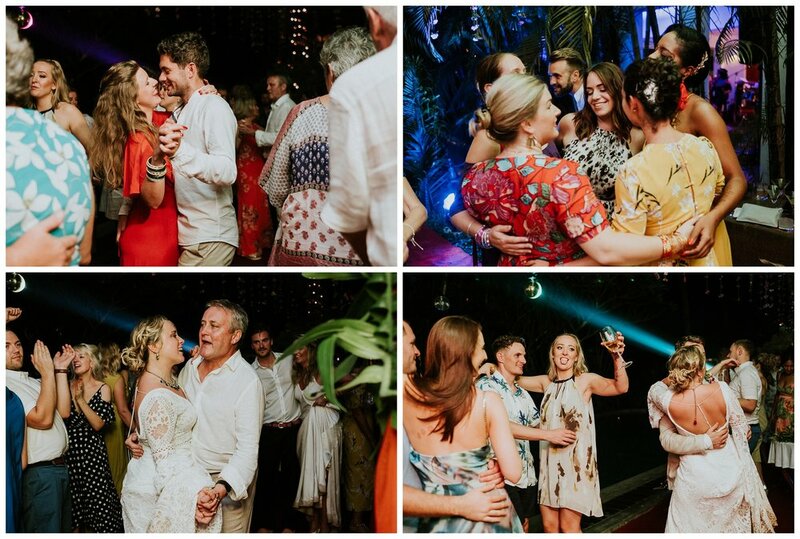 One of the best parts of the evening was when Hannah’s bridesmaids put on a show for her… a medley performance of songs tailored especially for the occasion, including making the groom sing the Pina Colada song to the room. I can’t even describe how good it was, the atmosphere was purely euphoric. It crossed my mind that I might need to hire them to do one for MY wedding. Last but not least, the trip ended (for me, at least) with the post-wedding pool party. Which was basically six solid hours of swimming, dancing (thanks to the excellent DJ skills of the best man), drinking spectacular cocktails (with a wedding of the owner of Bar Chick, one would expect nothing less), and regular splashy interruptions when people decided to mount the inflatable peacock. Quite apart from the once-in-a-lifetime (or maybe not, who knows?!) 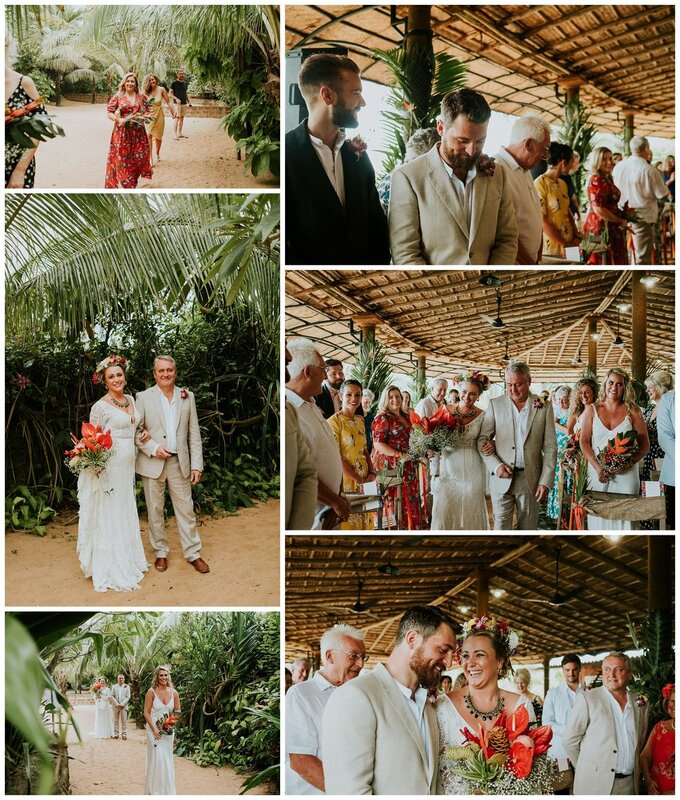 experience of both going to Goa and shooting a completely magnificent wedding there, Hannah and Adam and all their friends and family welcomed me with open arms, in a way I didn’t expect. Of course as a person working at a wedding you hope to be treated kindly and with respect, but there’s really no obligation to treat you like a friend, too. And I can safely say that every person there allowed me to immerse myself in the festivities wholeheartedly, so that it felt like I was as much a guest as everyone else. I felt all the emotion and elation that everyone else seemed to, which I think helped me shoot in the best possible way I could. It was a week I will truly never forget and I’ll be eternally grateful for having the opportunity to do it.